I’d like to know where along the way it became the norm to design EVs and hybrids to look terrible. 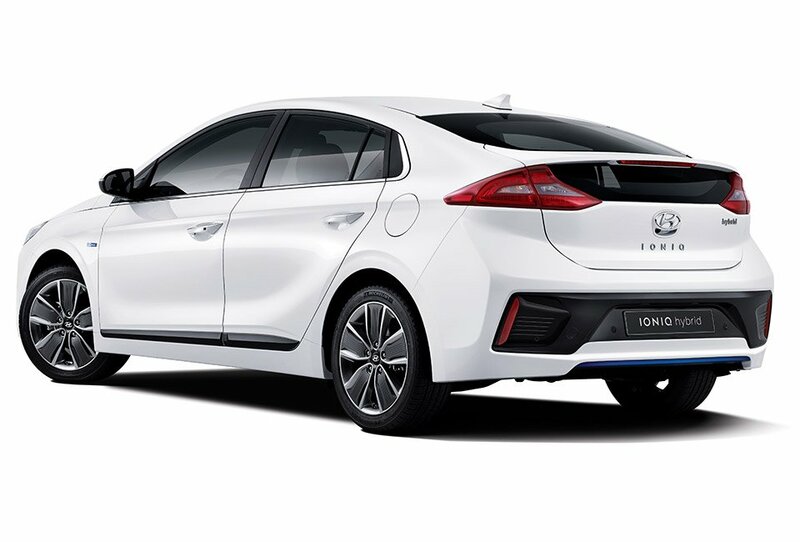 The Prius is one of the ugliest designs on the road, and Hyundai’s new hybrid called the IONIQ looks like it could be a close relative to the Prius. I suppose the teardrop shape is a side-effect of aerodynamic efficiency requirements, but still. The IONIQ will offer electric, plug-in hybrid, and hybrid powertrains in one body. That means you can choose just how electric you want to be with different models of the car. The vehicle is made using lightweight aluminum, with its chassis made of 53% advanced high strength steel, and shaves 45% of its weight using aluminum bodywork and other components. In the case of the hybrid model, power output is 105 hp from the gas engine and 43.5 hp from the electric motor. The car will use a dual clutch transmission. The full unveil for the IONIQ range will happen at the 2016 Geneva Motor Show in March. It’s unclear if the Ioniq will be sold outside of Europe at this point.